How the weather can change.....a bitter cold wind and driving rain met anglers arriving from the UK and Europe this morning. The hardy went straight out to fish a practice match in County Cavan. 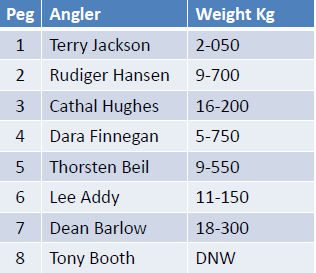 15 anglers fished Pairs venues Prospect Bay, Brackley and Bunerky in County Cavan. 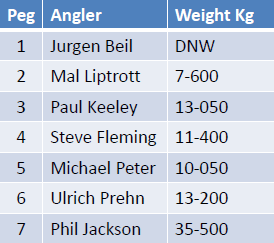 Phil Jackson won the day with 35-500kg at Bunerky, 2nd Dean Barlow with 18-300 and Cathal Hughes 3rd with 16-200 at Brackley Lake.